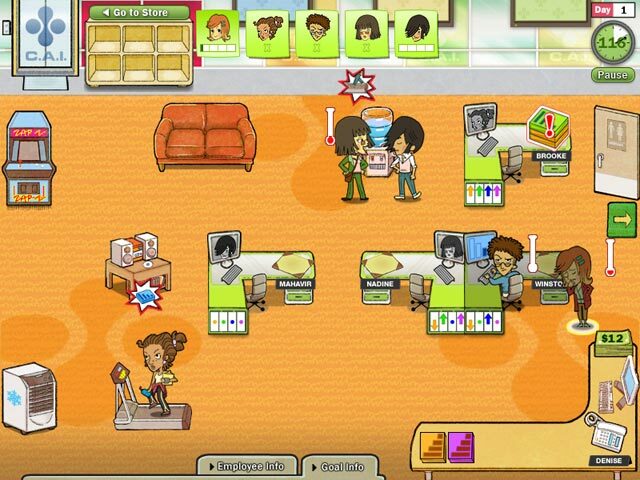 Miss Management was an original game that took the restaurant management of Diner Dash to the office. You play Denise, a beleaguered office manager who must keep the organization humming while playing to the often unhelpful personalities of the workers. Naomi Clark led the game design, which brilliantly used system dynamics to create a comedic storyline. The art direction and character design by Jacqueline Yue and Carolina Moya are particularly delicious.